When you’re an athlete, you put your feet through a lot of trauma with running, jumping, and sudden stops and movements. Board-certified podiatrist, Dr. Joe Griffin, CWSP, FAPWCA, understands the stress athletes put on their feet and offers specialized sports medicine consultations to his patients in Daphne, Alabama. At Coastal Foot Center, he provides examinations, custom-made orthotics, and diagnostic ultrasound procedures to treat your sports medicine foot issues. Call the office today to learn more or schedule your appointment easily online. Why see a podiatrist for sports medicine? When you’re an athlete, you spend a lot of time on your feet. Every time you run, jump, or dodge, you use the 26 bones, 33 joints, and 112 ligaments that make up your feet, and with repeated activity, issues easily arise. 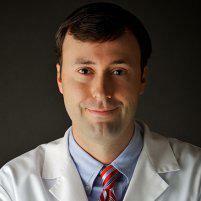 When you visit a podiatrist like Dr. Griffin, your feet can be examined to ensure everything is working correctly. A podiatrist can help condition your feet, strengthening any weaknesses that interfere with your performance or make you prone to injury. If necessary, Dr. Griffin may use a diagnostic ultrasound to determine the underlying issues you’re experiencing. If you’re having issues with your feet, Dr. Griffin offers custom-fit orthotics to address your specific problems. Why are certain shoe types recommended for athletes? Improper footwear can cause many athletes to experience knee, hip, or lower back pain. Because of the unique strains each sport puts on your feet, Dr. Griffin recommends wearing shoes specifically designed for the sport you play. Should athletes wear certain types of shoes? No matter what type of sport you play, Dr. Griffin recommends footwear that holds your foot in the proper position and supports its natural movement. Your athletic shoes should protect your foot and offer stability and traction. Your shoes should be comfortable and should not cause blisters or skin irritations. Dr. Griffin also recommends replacing your athletic shoes once they are worn, lack support, or when the protective features are no longer effective, which typically occurs between 45-60 hours of wear. In most cases, Dr. Griffin suggests shoes with leather or canvas uppers that have cushioning and arch support. He also recommends athletes wear a cushioned sock made with wicking material to keep feet dry. If you’re an athlete and looking for a podiatrist who specializes in sports medicine, call Coastal Foot Center to schedule your appointment with Dr. Griffin. You can even book your consultation online.